Working along side our local food bank and northern soul kitchen, we have started an initiative to support local families needing that little extra. When every penny counts so do your teeth. That’s why we want to ensure everyone has access to basic dental hygiene products. 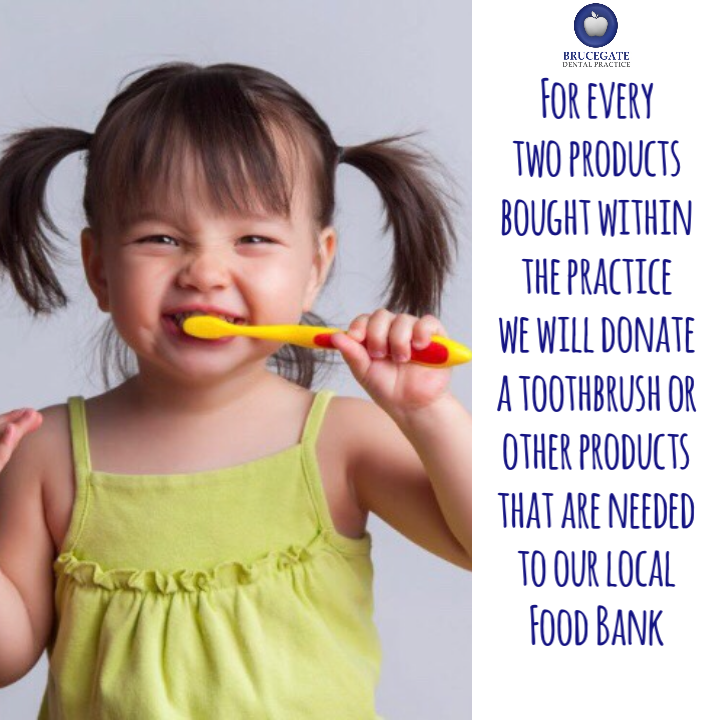 Each time someone buys 2 products in one transaction at the practice, you can choose what you would like us to donate to the food bank. Whether it be a child’s toothbrush or denture cleaner.